VMware users can now protect VM Images and vSAN with with Alliance Key Manager, Townsend Security’s FIPS 140-2 compliant encryption key manager. 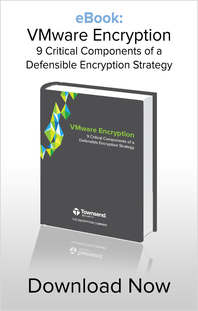 Townsend Security is excited to announce that its new version of Alliance Key Manager fully supports VMware vSphere encryption for both VMware virtual machines (VMs) and for VMware Virtual Disk (vDisk). VMware users have been using Alliance Key Manager to protect data in application databases and applications to meet PCI DSS, GDPR, HIPAA compliance as well as other data privacy regulations. Now VMware users can use the same Alliance Key Manager solution with vSphere to protect virtual machines and virtual disks. Townsend Security is a VMware Technology Alliance Partner (TAP) and Alliance Key Manager for VMware has achieved VMware Ready status. VMware users are looking for affordable solutions that provably meet compliance regulations and which fit their budget and deployment goals. Alliance Key Manager meets this goal by providing NIST FIPS 140-2 compliance, PCI-DSS certification, and Key Management Interoperability Protocol (KMIP) compliance out of the box. Existing Alliance Key Manager customers can upgrade at no cost to extend their data protection compliance requirements to vSphere. New customers can deploy Alliance Key Manager without the fear of increased, unplanned licensing costs in the future. In addition to PCI DSS, compliance regulations such as the European Union General Data Protection Regulation (GDPR), the HIPAA data security regulation, and many other data protection regulations, require the encryption of data at rest. Alliance Key Manager combined with vSphere encryption are the protection methods to help you meet these regulatory requirements. “Don’t be fooled by vague language in the GDPR regulation. You must act to protect sensitive information of individuals in order to meet this regulatory requirement. You should act now to protect your organization,” said Townsend. Alliance Key Manager for VMware is available for a free 30-day evaluation.